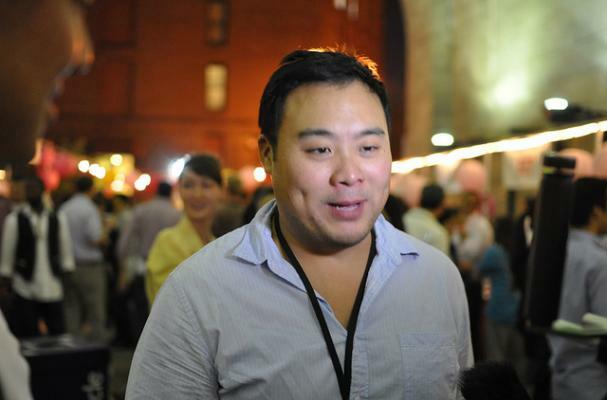 Famed NYC chef David Chang is no stranger to food blogger controversies and defends his beliefs to the end. Well, another controversy is brewing because of one product: Coke. A couple of Serious Eats staffers headed to Chang's new fast-casual (but still mid-range priced) restaurant, Duck Lunch, for a quick bite. One blogger, J. Kenji Lopez-Alt, went on to describe the establishment as a "fancy Fuddruckers" with normal plates and silverware that "ain't casual." That, however, isn't his problem with the restaurant. Halfway through the meal, Lopez-Alt decided to order a Coke from the register. He did so and got the bill. $5.44 (with tax)!! Admittedly, the soda was a Mexican Coca-Cola product made with real sugar. Nevertheless, Lopez-Alt said "That's ballsy, even for Chang." Well, Chang wasn't about to take that lying down. He took to Twitter, defending his actions: "kenji please stick to catering. mexican coke = hard to obtain in nyc + costs $." Shortly after that, he added "maybe if @momofuku & @momomilkbar get sponsored by the terrible National Pork Board as @seriouseats once did we can subsidize our costs?" Who do you think is right here? Is $5 a reasonable price for a (Mexican) Coke in NYC? Sounds pricey to me. In Buffalo,NY you can get a Mexican Coke or Pepsi for 99 cents. Doesn't Hooters charge the same price for fountain soda? Don't hear people complaining about that... I'd choose to spend more in a classy place any day. Real sugar is worth it. Overpriced? Maybe. Worth fretting about? Not really. Mexican coke is so much better, and you pay as much if you want a fountain drink at the movies, high fructose and all. $5 for a coke? How pretentious. There's no sugar water on this earth worth that much. I guess if you get fleeced that much for a soda, you've got to convince yourself it's something great. A fool and his/her money is soon parted.